Jacada Travel is an upscale London-based luxury tour company specializing in personalized, private-guided luxury travel around the world. Jacada Travel offers itineraries for travelers who seek a high-end insider travel experience with one-on-one service from start to finish. The company says that "time, space, choice, and personalization are the greatest luxuries." All destinations, accommodations, and activities have been road-tested by the Jacada team. Experiences are authentic and heartfelt, not touristy, superficial, or insecure. Time is managed smartly, so travelers make the most of their tour, avoiding downtime and waiting. Jacada Travel's point of difference from similar companies: its travel designers, who create guests' itineraries, have all lived and worked in the destinations they work on. This means that each trip is created by people who have actual first-hand experience of not just the area's culture and attractions but its hotels, dining, shopping, and the kind of local experiences that only a resident would know. Jacada Travel's approach to travel planning: it should be a pleasure, not a chore. Working closely with the client, Jacada's "travel designer" creates and fine-tunes an entirely personal plan for the trip. Major trip elements like destination flights and hotels are finessed, and help with visas is extended. Even minor aspects are managed: the view from your hotel rooms, whether you take coffee or tea with breakfast. Jacada clients have input throughout the planning process and final approval over everything in their itineraries. Jacada Travel is a luxury travel choice for experienced travelers who know what a great travel experience and who seek to deepen their experience of the world. Jacada Travel popular with couples (including honeymoon duos), families, small groups, and solo travelers. 40% of Jacada clients are English, and others come from all over the world. Over half (53%) of Jacada travelers are repeat clients, a high percentage for this field. South America could take in a great city like Buenos Aires or Rio, a relaxing stay at a winery hotel; wonders of the world like the Galapagos, Amazon rainforest, Macchu Pichu, Iguassu Falls, and the Patagonian wilderness. 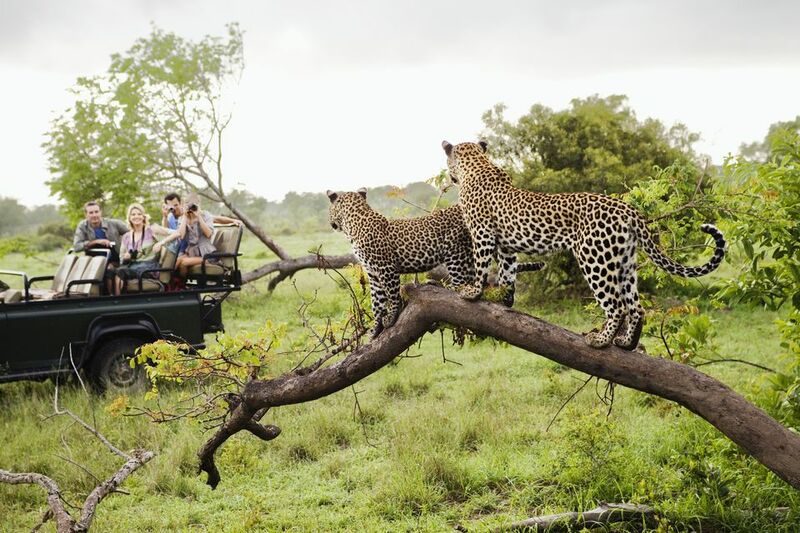 Africa could include a helicopter safari with nights at posh lodges, leopard-tracking in Saba Sabi Reserve in South Africa's bushveld, elegant dinner in Cape Town; a secluded beachfront villa in Mozambique. Jacada's expert guides are English-speaking locals with deep knowledge of their territory. They are often journalists or professors, but they may also be working archeologists, biologists, veterinarians, conservationists, art historians, and other committed professionals. Their insight, local knowledge, and connections create meaningful, memorable travel experiences. The guides accompany the guest all day into the evening and are available 24 hours. They organize the traveler's private tours and attend to all logistical and transportation and modify plans or troubleshoot when necessary. You're not willing to spend the research and communications time needed to plan a complicated vacation and would welcome help. You're at ease delegating major personal projects like planning a major vacation. You love exotic, off-the-beaten-path destinations, and want to get deep into their culture. You are determined to avoid cookie-cutter, one-itinerary-fits-all tours. You're a sophisticated luxury traveler, and only the best experiences will do. You like traveling with a knowledgeable guide but like some independent time. You feel that no one can possibly know and satisfy your tastes. You want to be in control of all vacation planning and make every decision. You prefer leisurely resort vacations to active or adventure travels. You prefer to travel on your own rather than with a guide. When you travel, you like to follow your impulses and not a set itinerary.